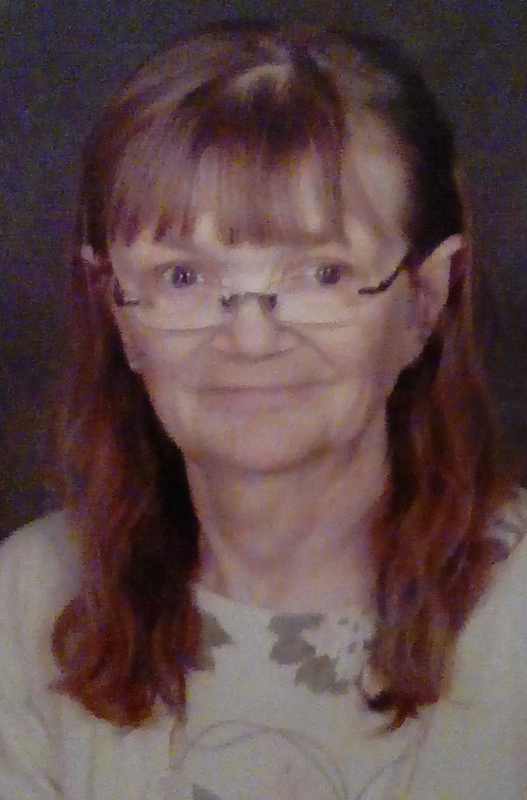 Eugenia Roxelyn “Genie” Wells, 66 of Taylorville passed away on Sunday, July 1, 2018 at 7:50 a.m. at Taylorville Care Center in Taylorville. She was born on August 3, 1951 the daughter of Wm. H. and Ida Evelyn Wells at St. Vincent Hospital, Taylorville, Il. She was at Lincoln State School from September 1957 until 1967. She lived in Springfield and worked for Goodwill Industries. She moved to Taylorville, Il. and worked for Christian County Mental Health Association until her retirement in 2017. She moved to Taylorville Care in 2017. Genie loved music, dancing, hand crafts, and socializing with her many friends as well as many shopping trips around the Taylorville square. She was an active member of First United Methodist Church participating in their many classes and community activities and also enjoyed the group activities at Taylorville Care Center. She is survived by her sister Dorothy McHenry, nephews Sean McHenry, Steve (Rhonda) Conover, great nephew Billie Conover, great niece Bailey (Tim) Danneman and great grandniece Lilelia Danneman, Aunts Fran Michael, Judy Sparlin, and many cousins. Eugenia was preceded in death by her father Wm. H. Wells, mother Ida Evelyn Wells, sister Delia Selvy, brother-in-law Jack McHenry and nephew Terry McHenry. Visitation will be held on Monday, July 9, 2018 from 10:00-11:00 a.m. at The First United Methodist Church in Taylorville the funeral service will follow the visitation starting at 11:00 a.m. at the First United Methodist Church in Taylorville with Pastor Becky Lembke officiating. Burial will be in Oak Hill Cemetery in Taylorville, IL.